What you did it wont respond you. Wait till battery compelately drain, then recharge and switch on your mobile againd. 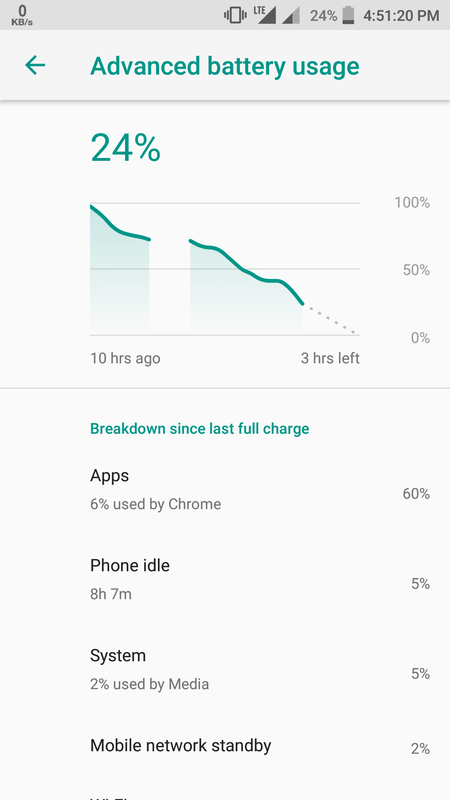 Dont charge till phone battery totaly drain. If you charge you need to wait more time. 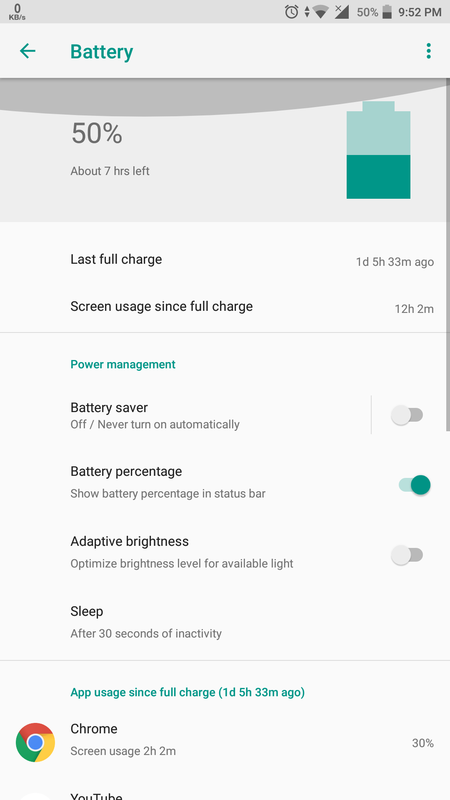 Can anyone tell me about battery performance on Oreo.And also can someone tell that is it right for me to update my device because I have to work on few projects these days.So I will be using my phone all the time. 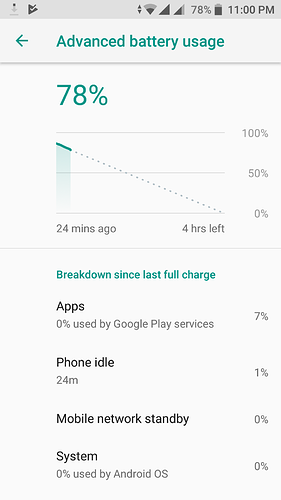 Battery backup seems to be the same as in Nougat. 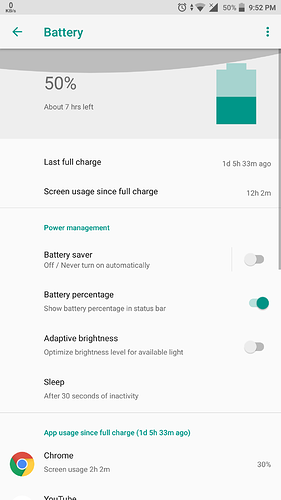 I haven't done a factory reset or battery cycling yet after updating to Oreo. The chart seems to be wrong for me as well. But the actual drain rate seems to be the same between Nougat and Oreo when screen is on. Hey @Antik I think you charged phone yesterday and didn't use it , now you are using. 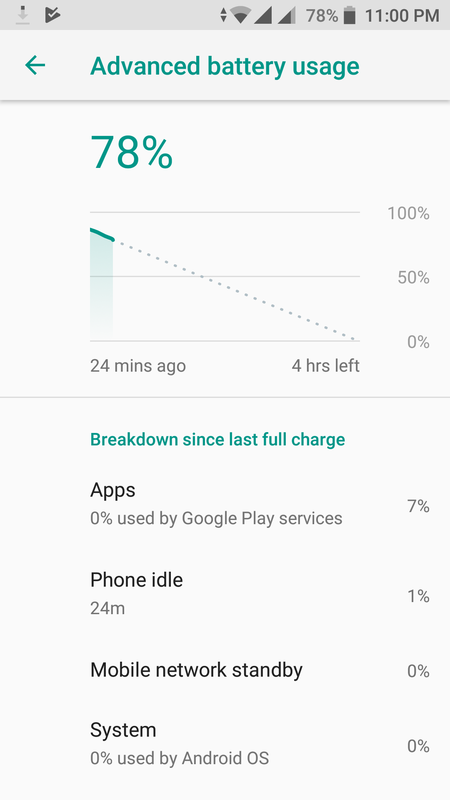 How are you getting so much battery backup? I have even done factory reset. What !!!!! 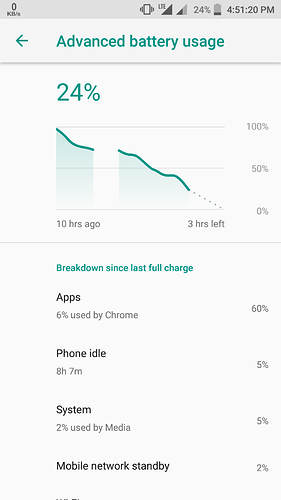 Mine is discharging rapidly compared to I nougat.